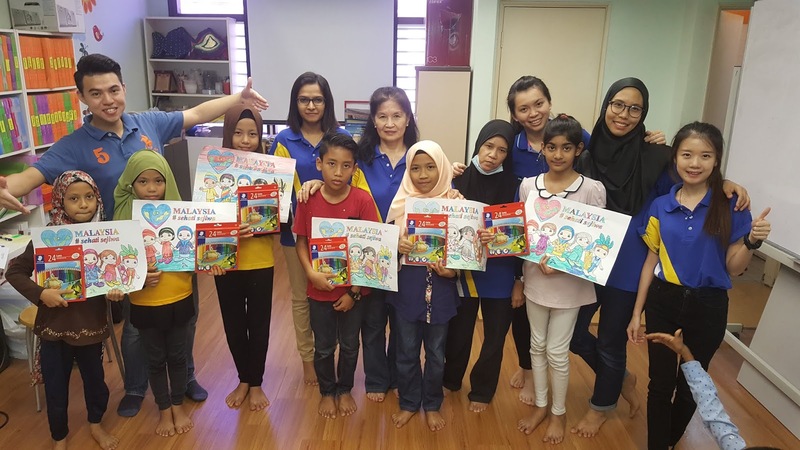 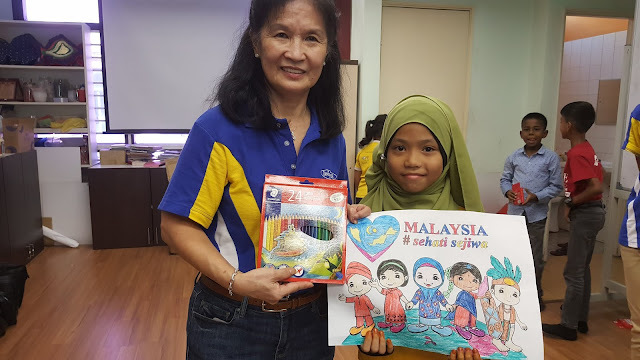 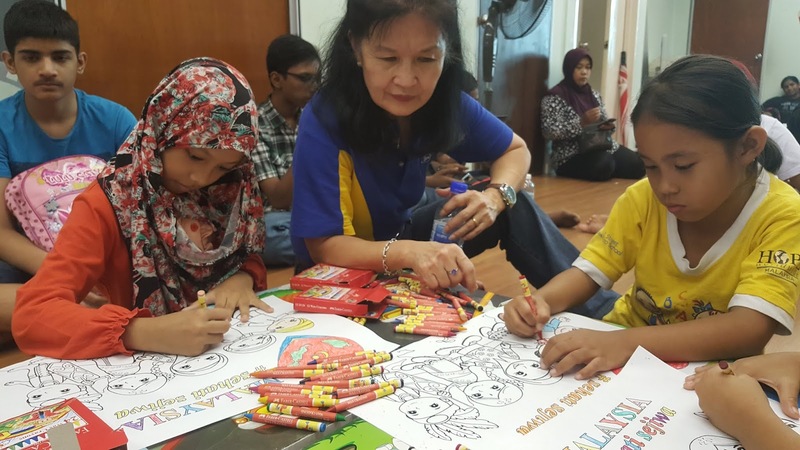 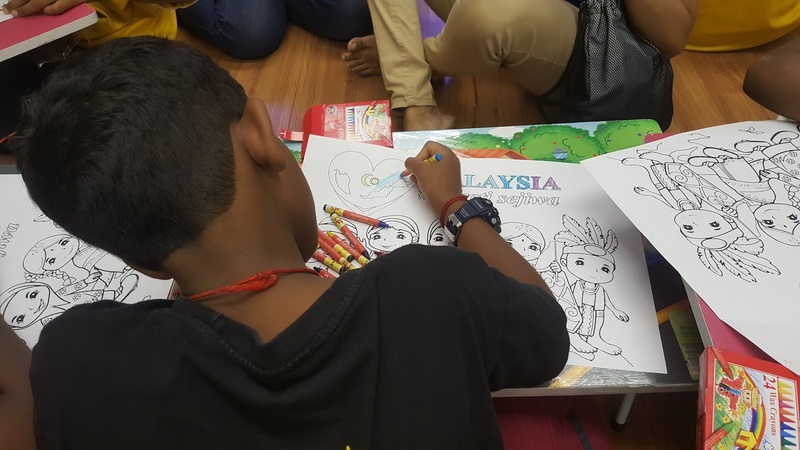 25 August 2018, Dancomech Engineering Sdn Bhd National Day Community Outreach and "Coloring Contest"
As inspired by the upcoming 61st National Day, Dancomech's staff and their family members organized a Community Outreach by having a "Coloring Contest" for 32 children from the low income families, besides, the staff also sponsored groceries for these 22 families. 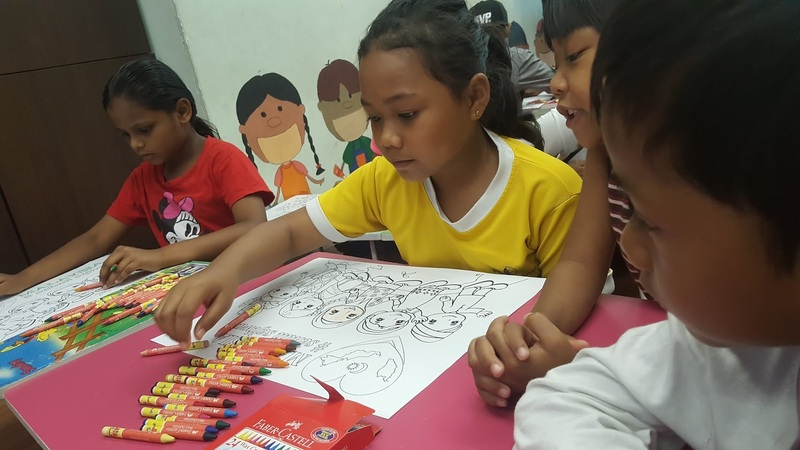 The Top 6 Art Pieces were chosen by the staff and these 6 children were awarded with a 48s Coloring Sets. 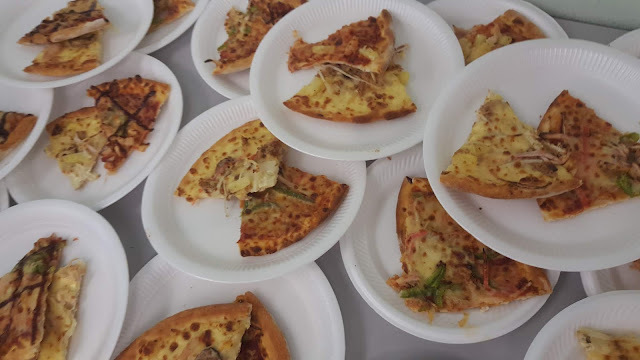 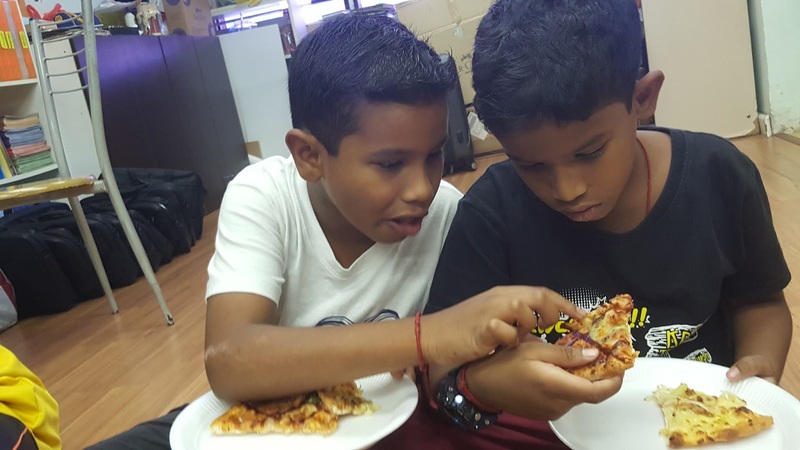 Children were overjoyed with the Domino's Pizza treat by Dancomech staff. 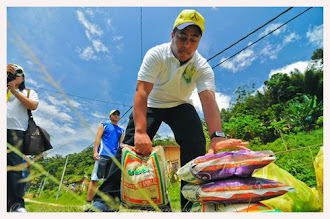 Besides reaching out to the children, total 22 families received groceries from Dancomech staff too. 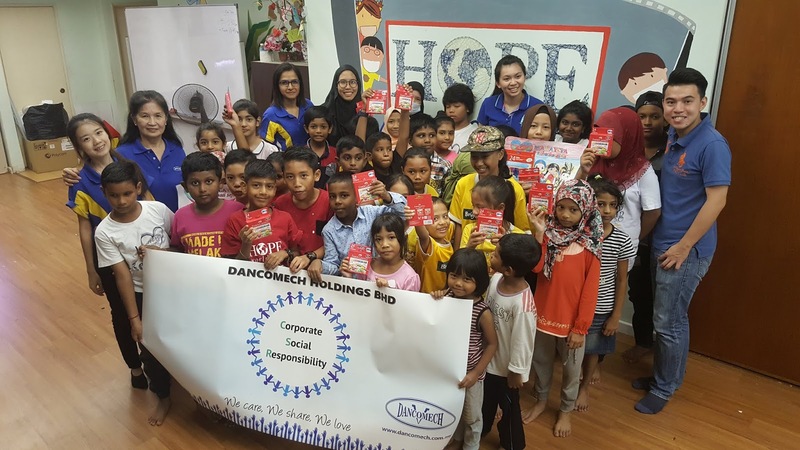 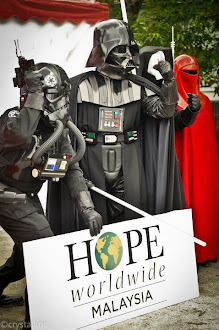 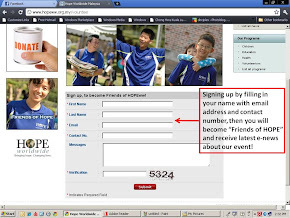 For HOPE worldwide Malaysia and our beneficiaries, this is indeed a memorable National Day celebration. 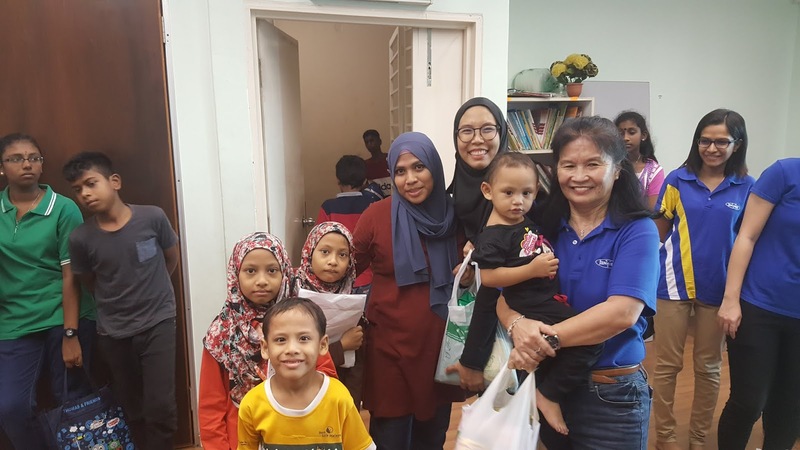 We wanna thank Dancomech for your thoughtfulness in organizing this outreach program and we look forward for more working opportunities in the future! 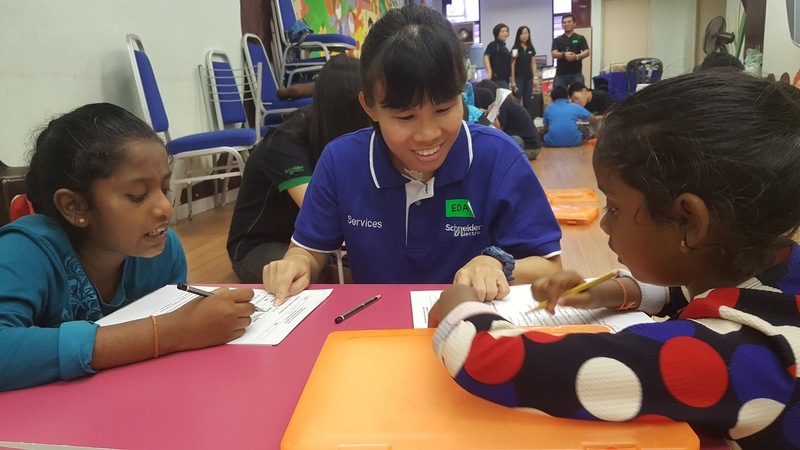 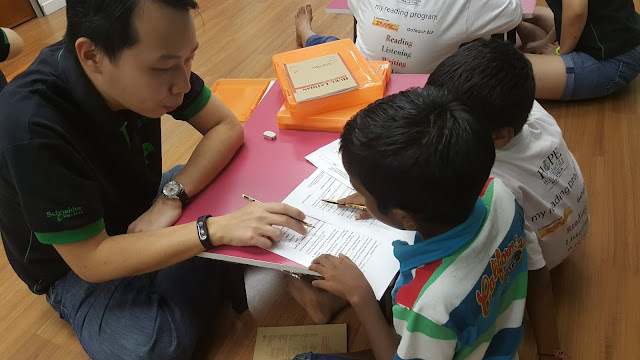 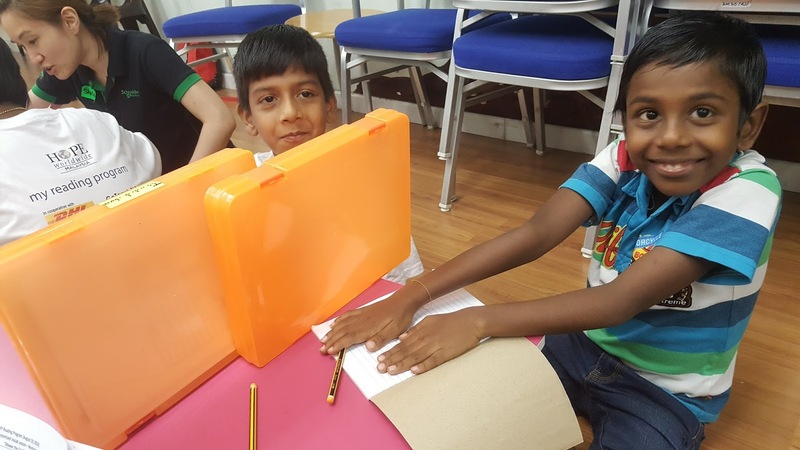 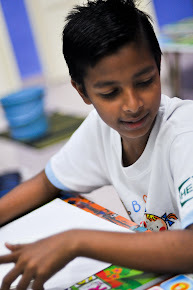 The Volunteers from Schneider Electric continue to be the Teachers of the Day for 20 children in the MY Reading Program, instilling English literacy through helping the kids to learn English in Reading, Listening, Speaking and Writing. 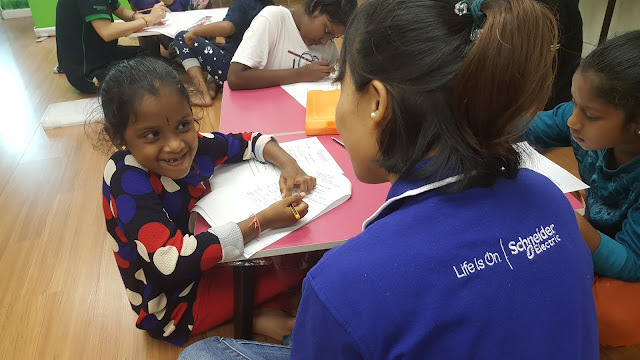 We truly admire to the volunteer's tireless spirit to continue spending their time reaching out to the little kids after conducting a 5-hour intensive Basic Electrical & Life Skill Workshop. 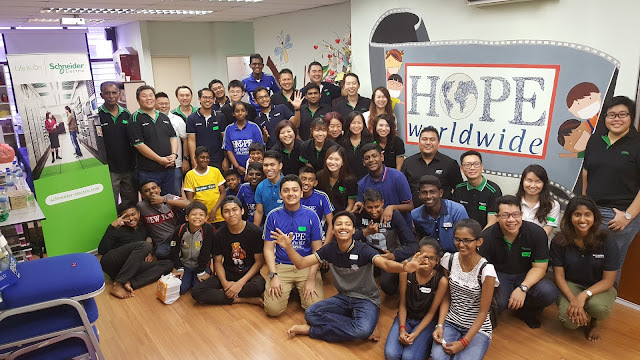 Thanks to the dedicated staff volunteers from Schneider Electric who have contributed their knowledge, time and thoughts to conduct a 5-hour intensive Basic Electrical & Life Skill Workshop for 21 youths. 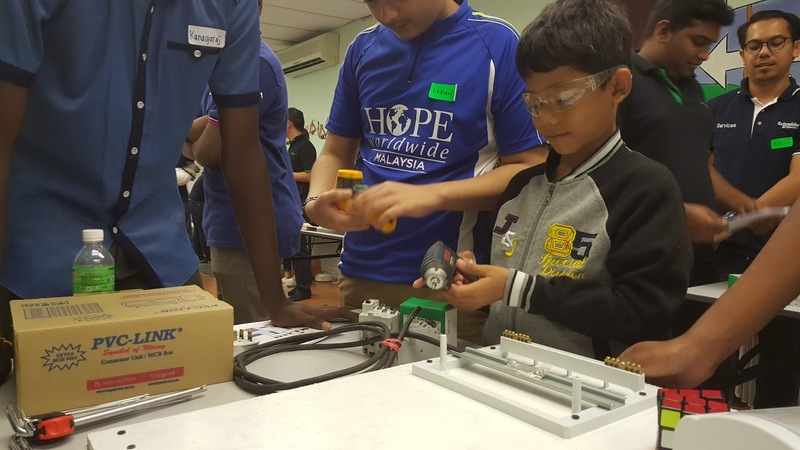 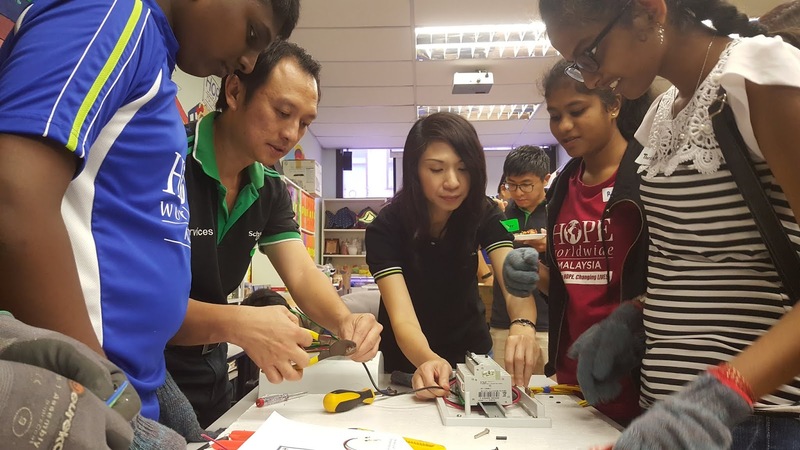 Last Saturday, more than 30 staff who are engineers themselves, connecting with the youths through bridging them to the basic knowledge about Electrical world and what it has got to do with the daily life hacks. The workshop also serves the purpose to instill interest for these youths to venture into the electrical fields. 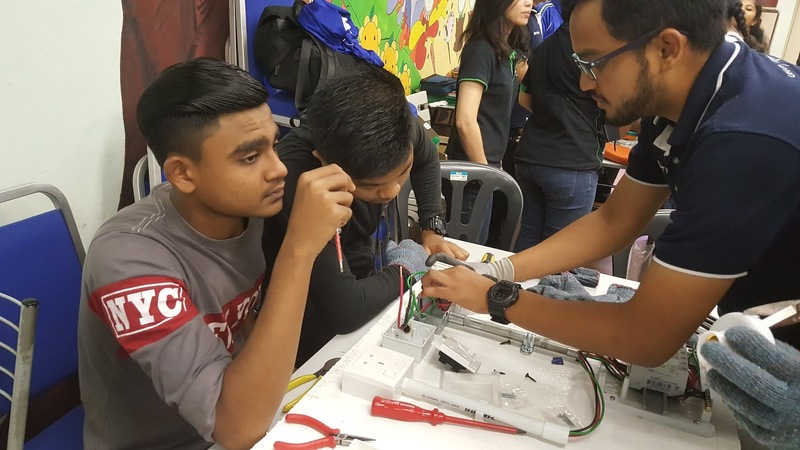 The youths were assigned into groups with the staff volunteers as the mentor to complete an Electrical panel assignments together. 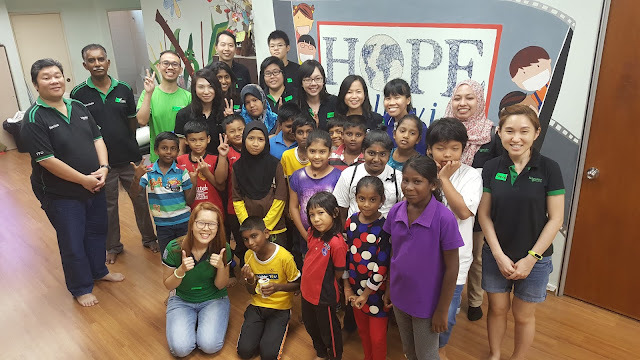 Through the process of completing the assignments, the volunteers and our youths have had great bonding time together. 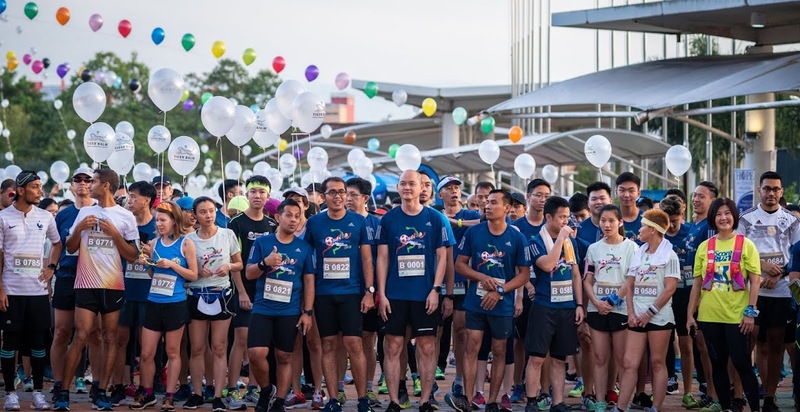 This is the first CSR Collaboration we had with Schneider Electric Malaysia, and we look forward for more working opportunities together in the future! 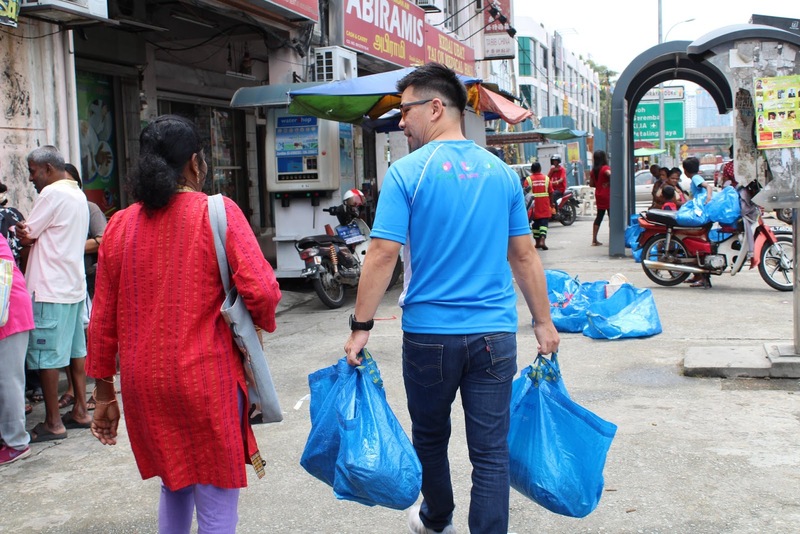 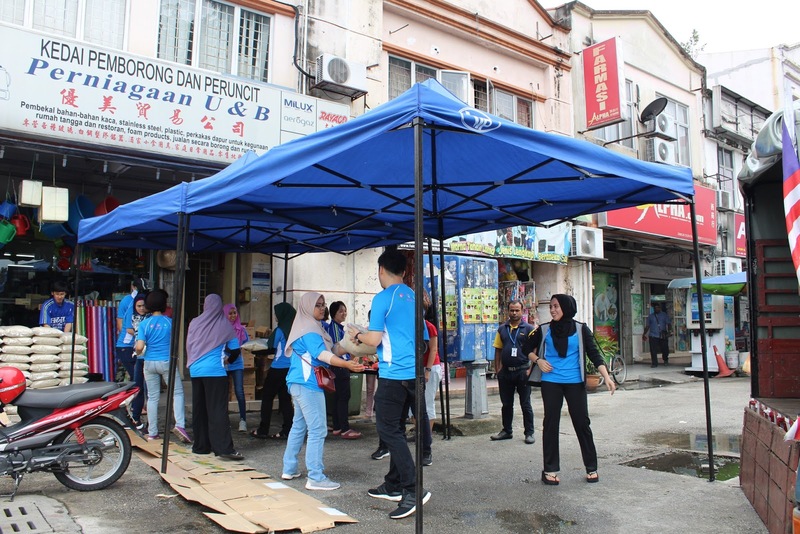 Thanks to 15 staff volunteers from Manforce Group who worked tirelessly under the rain and sun, volunteering in the Food Distribution Program, reaching out to more than 100 low-income families at at our Sentul Free Clinic of HOPE. In the beginning, it was a rainy Saturday morning, but the passion and dedication of the volunteers from Manforce Group had eventually brighten up the supposedly drizzly morning, as we carried on the works, setting up the tents, loading the groceries from the truck, distributing the groceries to more than 100 beneficiaries of the Food Distribution Program. 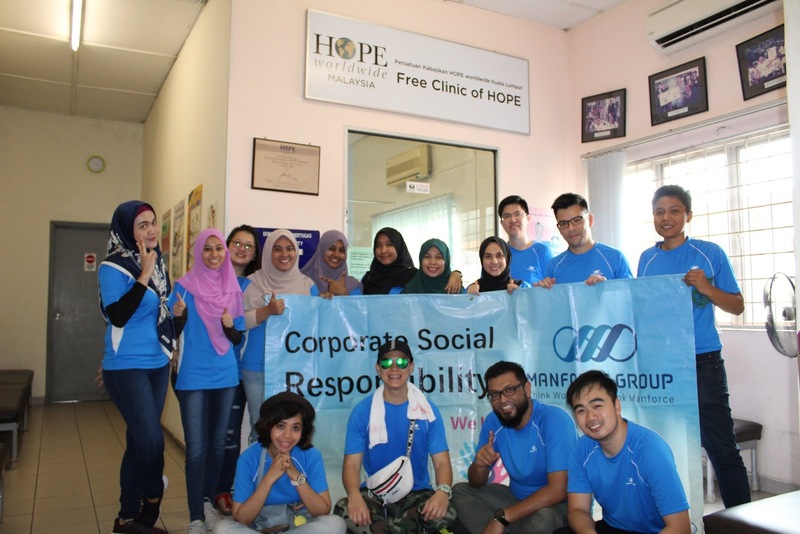 We want to thank Manforce Group for your continuous support and dedication in sustaining this CSR collaboration. 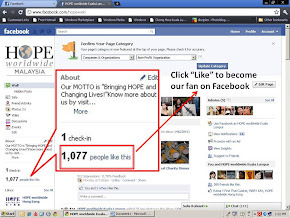 We look forward for more working opportunities in the coming years. Thanks to the staff volunteers who organized this Friendly Futsal Match for our Youths! 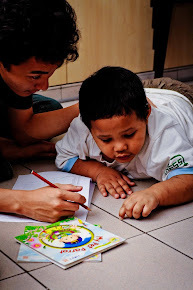 Bonding time is sometimes the BEST gift we could give to our children or loved ones. The staff volunteers from PUMA Malaysia given this Gift of Bonding Time to our youths, and it is priceless! 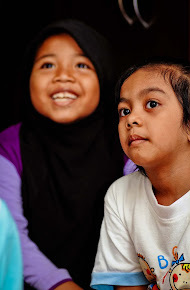 Together, they created a memorable time together. 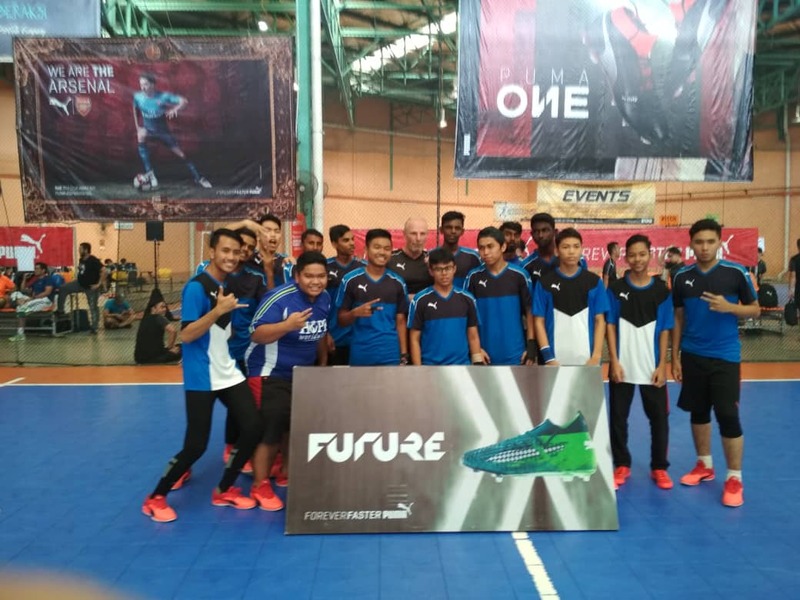 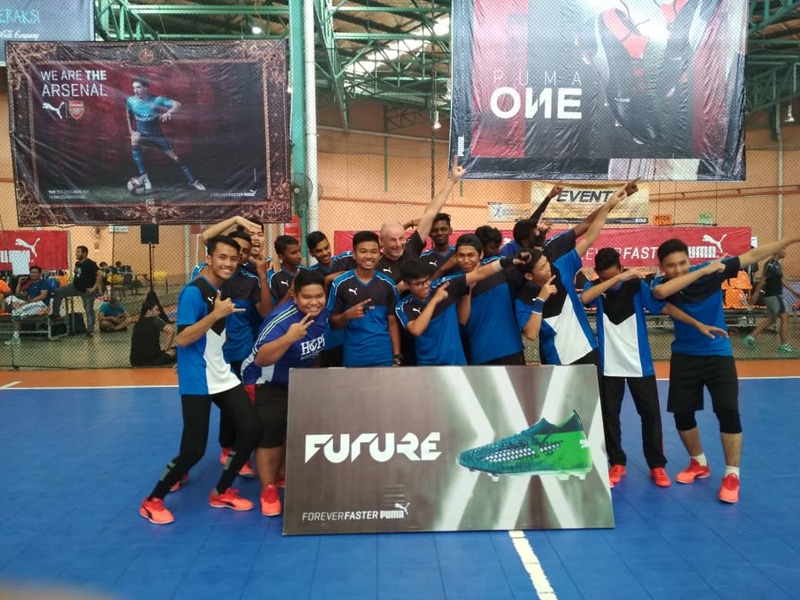 Prior to the Futsal Match, each of our youths was given a PUMA jersey and as well a pair of futsal shoes. From the bottom of our hearts, we want to say thank to PUMA Malaysia for your thoughtfulness in organizing this Futsal Match. We look forward for more CSR Collaboration in the future! You are cordially invited to this meaningful occasion to be a Blood Donor! Blood donation awareness is still low, with only 660,000 people or just 2.2 per cent of the entire Malaysian population donating blood last year. 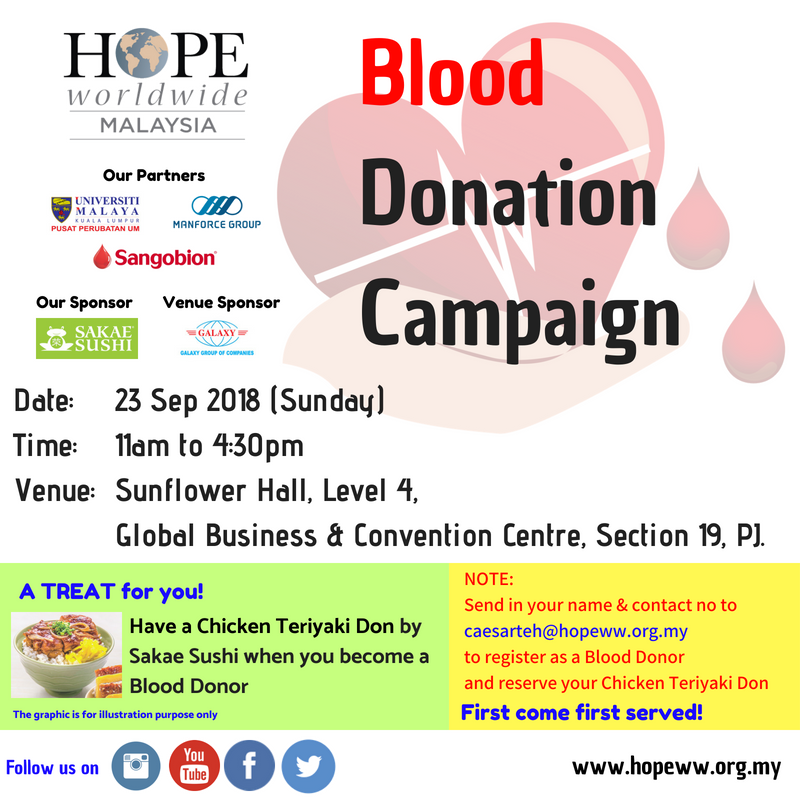 About 2,000 pints of blood is needed daily to treat 1,000 patients and a shortage of blood is expected to occur if there is no awareness to donate blood. 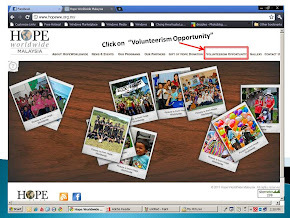 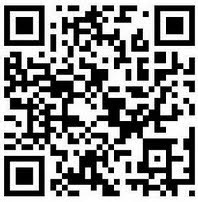 Let us play our part to save the lives of many! 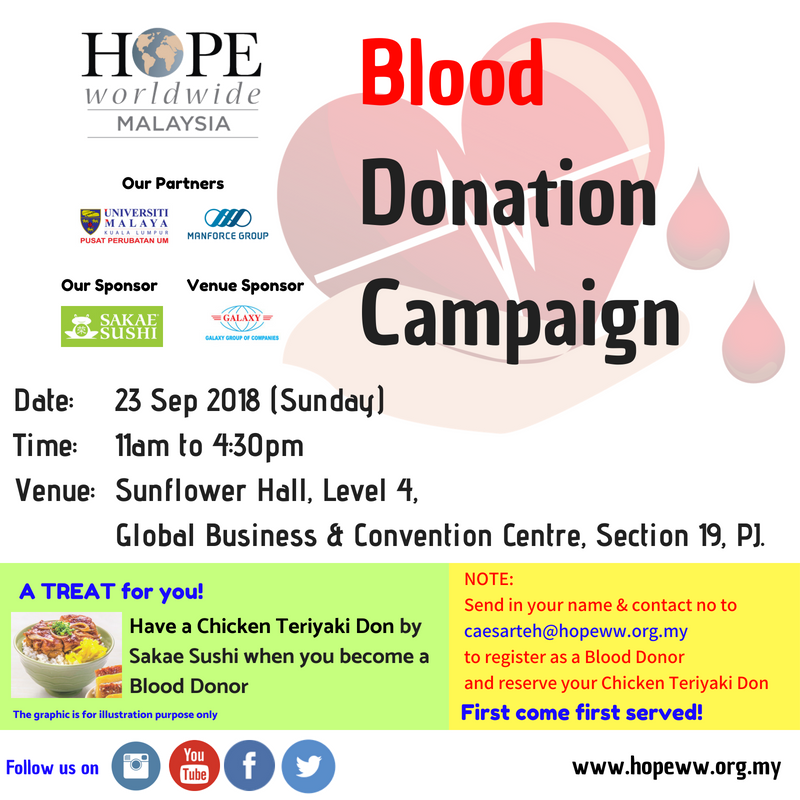 To echo the call for public to be Blood Donors, Sakae Sushi has a thoughtful treat for those who become a Blood Donor - a Chicken Teriyaki Don meal as an appreciation for your kind gesture. But the quantity is limited, therefore please send in your Name & Contact No to caesarteh@hopeww.org.my to reserve your Chicken Teriyaki Don and we shall see you at Global Business & Convention Centre on 23 September 2018!